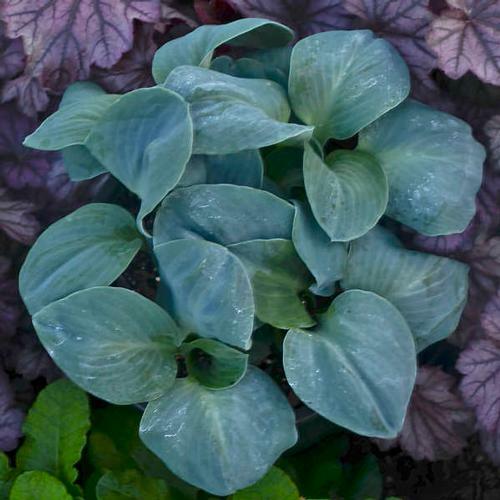 Similar to Blue Mouse Ears but with larger leaves. Dusty blue foliage and lavender flowers on compact scapes midsummer. The perfect pint sized hosta.